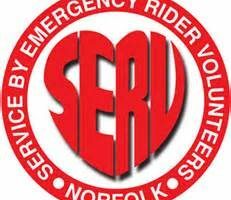 Tobi is an anagram of the charity’s initials, and provides the pants-wearing logo. 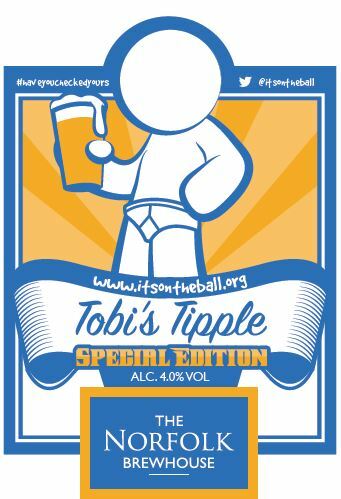 Tobi’s Tipple is a special edition is made by Norfolk Brewhouse at Hindringham near Fakenham generating donations to It’s On The Ball. 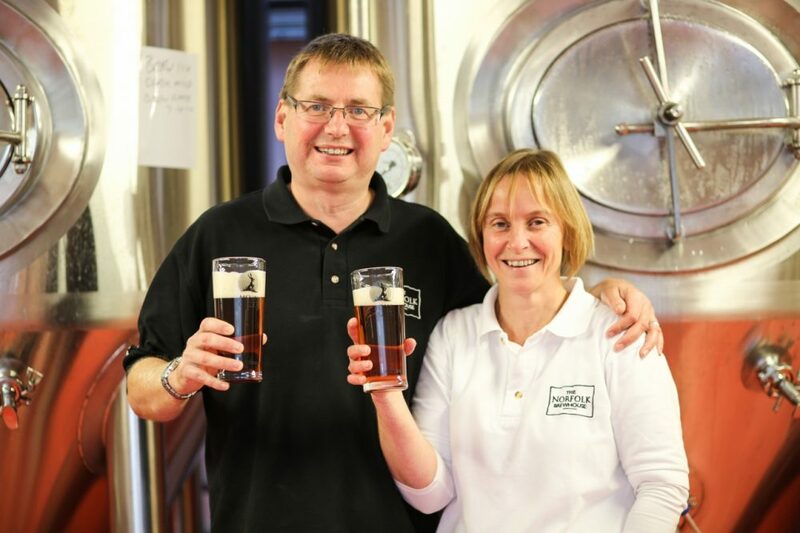 It is run by brewer David Halliday and his wife Rachel in a converted barn at his father’s farm. 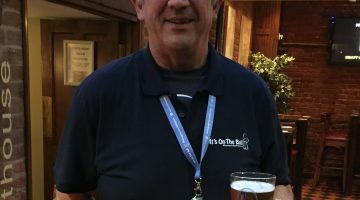 The beer pump clip sign carries a logo of a man wearing Y-front pants – reinforcing the need for young men to check themselves in the shower monthly. 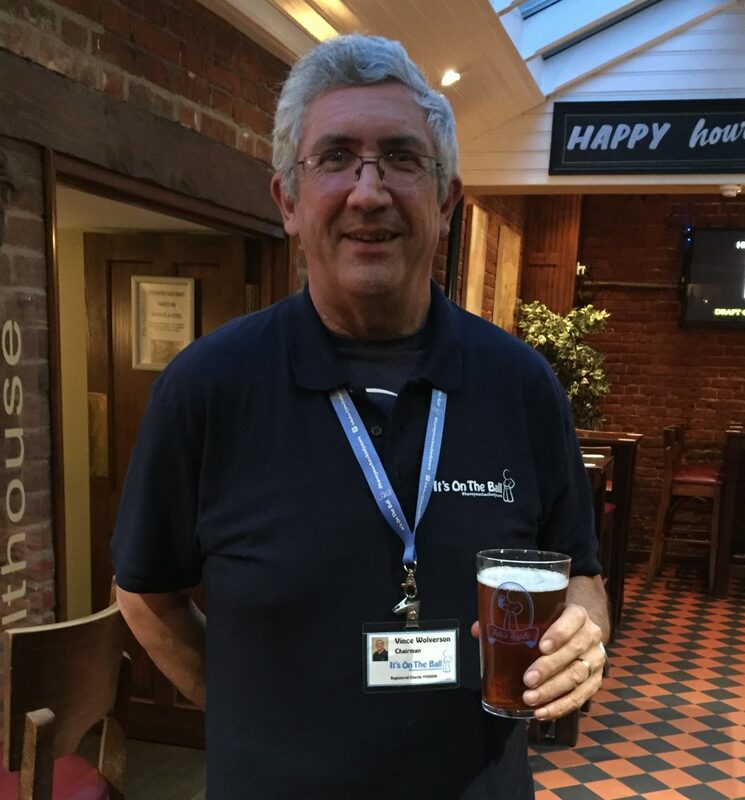 Pump ale has been on sale during April – Testicular Cancer Awareness Month – including at many Norwich Inns outlets. Bottles of Tobi’s Tipple are available year around. 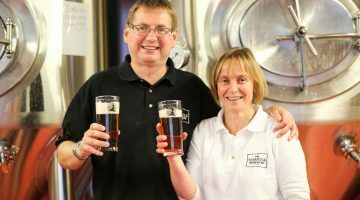 Norfolk Brewhouse began four years ago, making 3000 pints a month. I t now produces up to 8000 pints a week and has added two full-time staff to its workforce. Its core ales are the Moongazer trio of Amber, Ruby and Golden, with three or four special beers during the year.